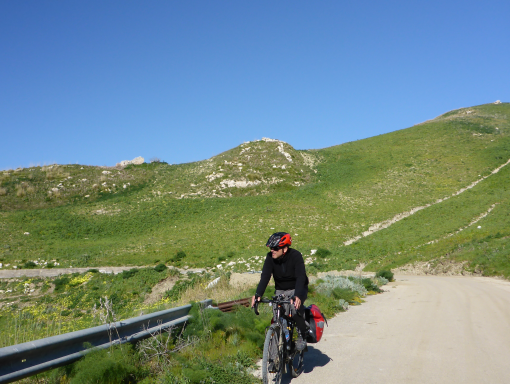 Cycle the Magna Via Francigena in Sicily! 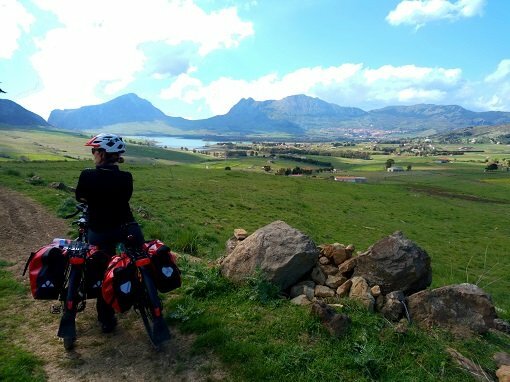 A unique experience for all those adventure seekers who want more than just a cycling holiday. 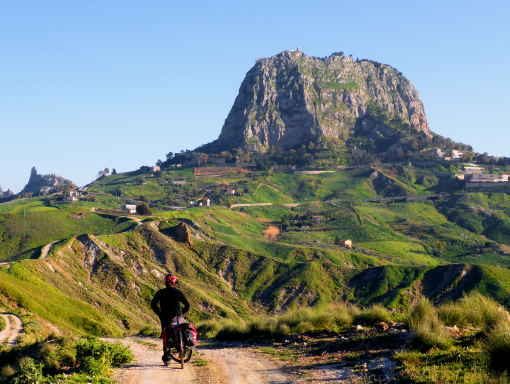 Sicily’s first camino gets you to the very heart of this island and its authentic people. Stone villages, rugged hills, friendly locals and genuine food await you on this ancient route that has been rediscovered recently. We care! We support the nonprofits who take care of the camino and reserve a part of our income for maintenance projects. Individual arrival to Palermo; briefing and bike fit. Travel pack delivery (if you have requested your credential* you will receive it by post or during the briefing). Breakfast at the hotel/B&B. Departure from Palermo Cathedral. First section to Monreale on busy roads. Stop at Monreale Cathedral for a stamp and a quick tour of the Unesco Site (lock up bicycle). Descent to valley and then climb to Santa Cristina Gela, one of Sicily’s Albanian Communities, mainly on low traffic roads. Check-in at the hotel/B&B. Don’t miss the ricotta-filled cannolo! Breakfast at the hotel/B&B. Departure from Santa Cristina Gela. Ride past vineyards and the beautiful Piana Lake on quiet secondary roads. Arrive to Corleone. Check-in at hotel/B&B. Recommended visit to the CIDMA (No Mafia) Museum and the waterfalls Cascate delle due Rocche. Breakfast at the hotel/B&B. Departure from Corleone. Ride past the beautiful canyon and continue on secondary roads towards the artificial lake of Prizzi. The climb to Prizzi, a beautiful stone village, is quite steep. 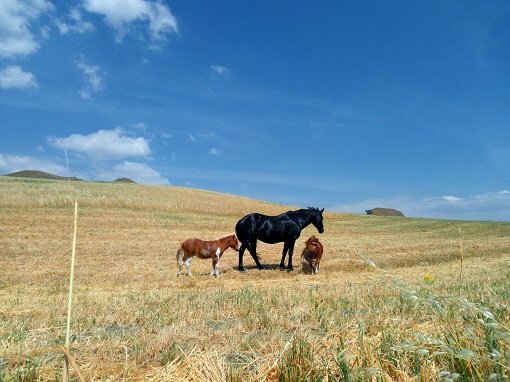 A stop for lunch is recommended before you continue towards the beautiful Nature Reserve of Monte Carcaci at a few km from Castronovo, the very heart of this Cammino. Check-in at B&B. Pilgrims can enjoy a pilgrim’s menu at the town’s restaurant. Breakfast at the B&B. Gentle ride down towards the Platani River. Highlights: the Necropolis of Capelvenere with tombs carved out from a big rock (short detour, recommended for mountain bikes). Stop at the Casale San Pietro. Don’t miss the Pilgrim’s cake at the Pasticceria Sparacello at Cammarata. 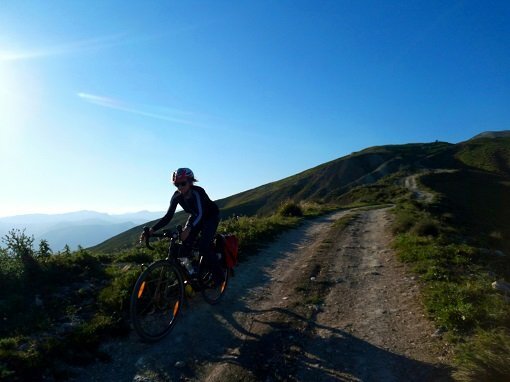 After the climb to Cammarata follows a descent towards the valley, but there are still two climbs left, one to reach the small village of Acquaviva and the last one to reach the stone village of Sutera, overlooked by the impressive Monte San Paolino. Check-in at B&B. Breakfast at the B&B. 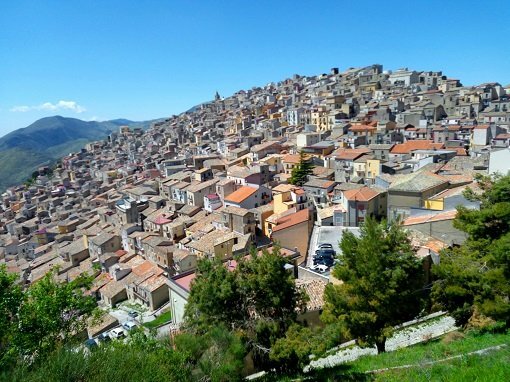 Ride down to Campofranco, continue to Racalmuto, the birthplace of the Sicilian writer Leonardo Sciascia, continue to Grotte and arrive to Aragona. Check-in at B&B. Optional: skip the last, more busy part by train from Aragona to Agrigento. Departure after breakfast. Ride towards Joppolo Giancaxio. Last climb to Agrigento, the last section is on a busy road. Arrive to the cathedral in Agrigento. Transfer to Palermo city/airport. End of our services. Optional: extra night in Agrigento with visit to the Valley of the Temples. This tour is subject to minor changes at any time depending on room availability in the smaller towns and possible changes to the itinerary. * The pilgrim’s credential is issued by the nonprofit organisation “Amici dei Cammini Francigeni di Sicilia” who have researched and mapped out the walking itinerary. 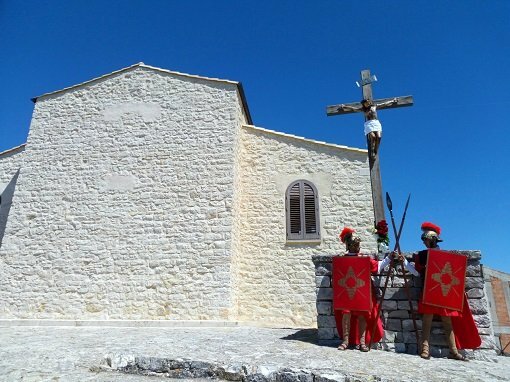 If you wish to cycle the Magna Via Francigena and enjoy pilgrim status (benefits include access to the pilgrim’s menus at select restaurants and the possibility of requesting a final completion certificate, the “Testimonium”) please request your credential online at www.magnaviafrancigena.it. 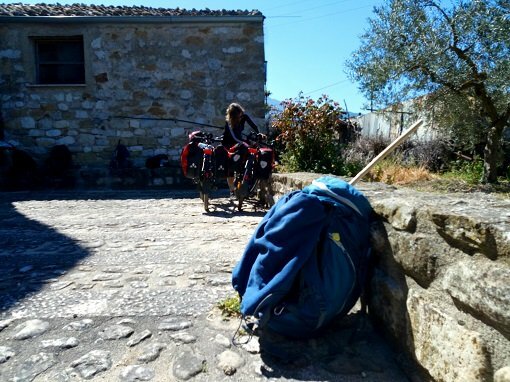 With our nonprofit bicycle touring club “Ciclabili Siciliane” we have volunteered in mapping out the route for bicycles and we are entitled to deliver credentials to bike pilgrims upon request. Do it on your own with our Camino-proof bikes!